WIL Power: Why work-integrated learning is key to getting a job? Post-secondary education is one of the most exciting journeys you’ll ever take. It’s a chance to explore new subjects, meet new people, and grow as an individual. But eventually you’re going to graduate—and that means your school also has to prepare you for what comes next. Work-integrated learning (WIL) has an especially important role to play when it comes to getting hired. It allows you to work with industry stakeholders in the classroom, puts your name in front of potential employers, and gives you a head start when it comes time to embark on your career path. Whether you want to commit to a whole semester of full-time work, or design your own project to finish off the term, there’s an opportunity for you. Co-ops are one of the most unique work-integrated learning programs out there. If you enrol in one, you’ll be placed in a work-study arrangement with a third-party organization—some of which might even have you sailing the high seas. For this type of WIL program, you’re considered an employee, and in most cases, you might even be compensated. It’s a great option if you want to start paying off student loans or save money during your educational career. Those thinking of applying for a co-op should be ready for a significant time commitment—and to learn a ton along the way. Also, while supervisors and instructors will give you assignments to complete as part of the program, you may not have to attend on-campus classes at the same time. SEE MORE: What’s the difference between a polytechnic and a university? Many BCIT students participate in internships and practicums. These programs are like entry-level jobs, with the added advantage of earning school credits. Internships and practicums are like entry-level jobs—with the added advantage of earning school credits. Keep in mind, however, that to participate in this type of WIL program, you must have already completed the majority of your regular classes. Though only some positions are paid, they all provide you with invaluable experience and professional networks. These two WIL opportunities differ in a few ways. Internships, for example, often require students to work four or five days per week. A practicum, on the other hand, may only need your attention for two days of the week, but they do stretch over a longer period of time. It’s why many practicums are research- or course-based, while internships give you a more general sense of day-to-day life on the job. This is one of the many benefits of attending a polytechnic institution, like BCIT. The computing and IT-related programs, for example, solicit proposals from organizations who are looking for talented, creative students to help them troubleshoot real problems or conceptualize real software. This often results in term projects—and friendly competitions—as students form teams and try to design the best solution for an industry sponsor. During the semester, meetings and presentations provide a great opportunity to connect with your client, learn more about their industry, and make a lasting impression. This is an end-of-term project that students must design and execute on their own, though instructors will of course be available to support. It’s perhaps the most informal work-integrated learning option, since you’re not actually employed by an external organization—but whether you’re working to design autonomous navigation assistants for airports or developing new heat exchange systems for harnessing geothermal energy, you’re doing critical and innovative work in your chosen field. 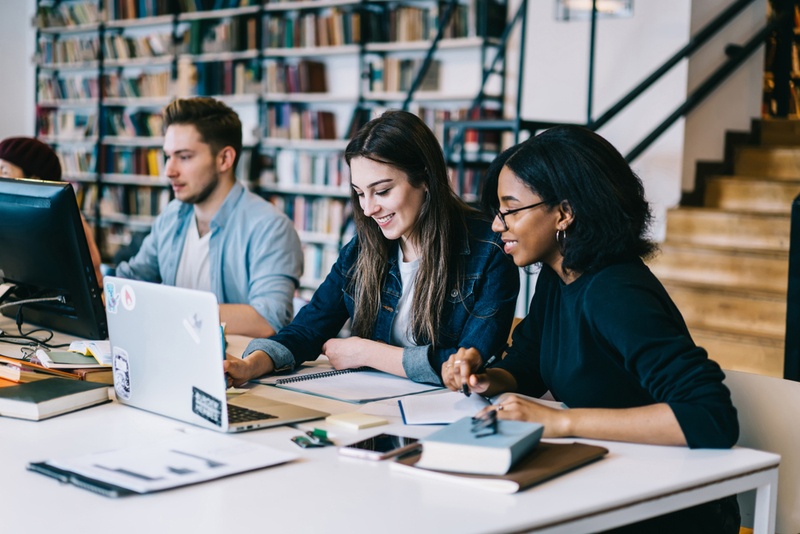 To complete a capstone project, you’ll need to research an issue or challenge related to your field of study, engaging with experts and professionals as you put together a final report. Through this, you make plenty of great contacts and connections in the industry, which can earn valuable recognition and help you enter the workforce. While capstone projects are featured across a number of programs at BCIT, they’re especially prominent in the School of Energy, and they take center stage at the Institute’s annual Engineering Expo. Capstone projects allow BCIT students to build industry connections before they enter the workforce. You could describe this as a cross between an internship and a capstone project. Field experience, when formalized as part of your curriculum, gives you the opportunity to reach out to an organization and help with a specific assignment for school credit. If you’re studying mineral exploration, for example, there may be opportunities to receive course credit by visiting mines and worksites to take field notes. No matter which type of work-integrated learning suits you best, each program has many advantages—from boosting your confidence to helping you land better job prospects. And as a result, WIL has become a buzzword across post-secondary institutions. In the last few years, colleges, universities, and polytechnics have realized that their students need both theory and practice if they want to succeed. BCIT has been providing this educational experience—learning by doing—for over 50 years. But the Institute is also unique because its 300-plus programs are created with input from Program Advisory Committees, which are made up of industry professionals. In other words, experts work with BCIT at the drawing board, helping to build WIL opportunities into our degree, diploma, and certificate programs. Have questions? Get in touch to find out how you can benefit from work-integrated learning opportunities at BCIT.